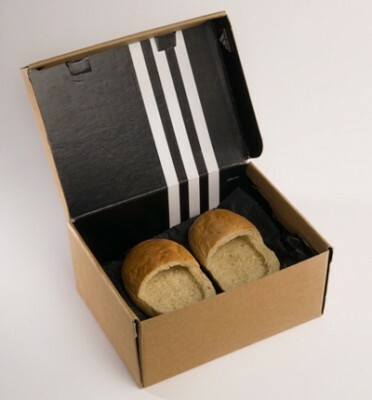 Bread Shoes, now available from a company called DADADA Studio. It’s a fitting name, considering this is one of the most dadaesque things I’ve ever seen. 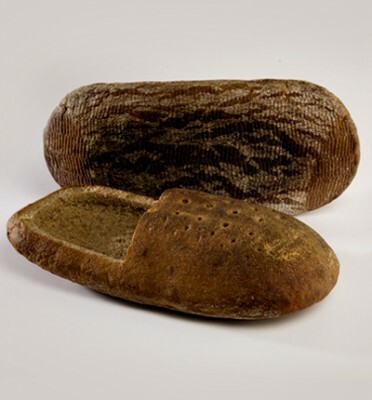 There’s really nothing more to do than take this product at face value: You can now buy slippers that have been carved out of two loaves of bread. Finally. 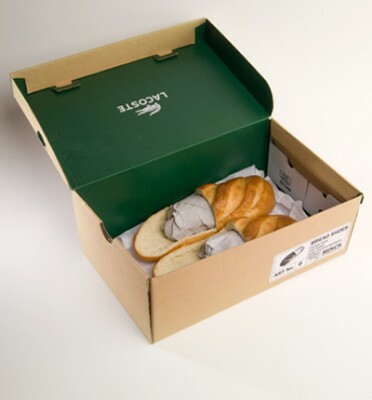 After all these years of waiting, my need for edible footwear has been satiated. 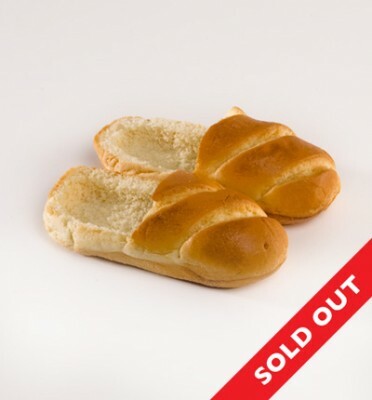 I would never need wearable bread enough to order it online (don’t forget, you can make your own knockoffs with just an oven and a knife), and I would go as far as to break all ties with anyone I knew who ordered these, but I don’t dislike the product itself. It’s an interesting concept, and I guess anyone who wasted their money on these only proved the artist’s statement, so it’s not hypocritical to sell them or anything. These are really just the natural extension of the Snuggie Principal of Idiotic Consumerism, and any reader who has ever worn a Snuggie will tell you that the things are at least comfortable as all hell. 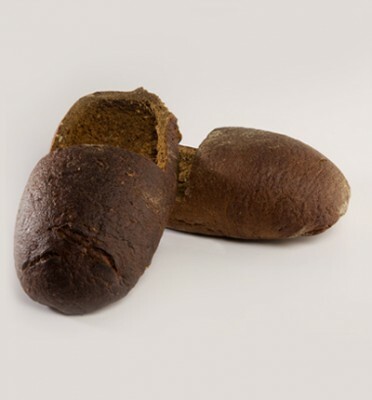 Remember, the cultured gentleman should be expected to buy at least two pairs of Bread Shoes, both to be prepared for every occasion and to match his belt. I would like to thanks for the efforts you have contributed in writing this blog post. I am hoping the same best article from you in the future as well. In fact your creative writing abilities has inspired me to begin my own blog now. Truly the blogging is spreading its wings quickly. Your write up is a good example of it. 1. Top-notchnews indeed. My teacher has been searching for this update. I’m still learning from you, as I’m making my way to the top as well. I certainly enjoy reading all that is written on your site.Keep the information coming. I enjoyed it! I found your website on google. allowed me to really understand this topic. I really learned alot from your site. You have something good going here, keep it up! Nice info. Nice to read. I have got a single thing to give about funny t-shirts.